Shortly after Tesla managed to meet their milestone of producing 5,000 Model 3’s a week, demand for the cars has dropped significantly. Refunds now outpace deposits for Tesla’s Model 3 sedan, CNN Money reports. Just weeks after Tesla finally managed to hit their production milestone of 5,000 Model 3 cars a week, demand for their new car has reportedly plummeted. This new issue was first reported in an analyst note from Needham & Co. analyst Rajvindra Gill. 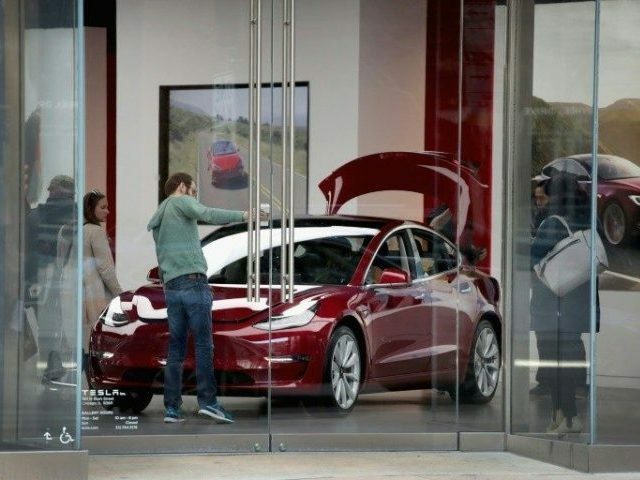 Gill claimed in the note that the sudden drop in demand for the Model 3 was the result of multiple factors including the extended wait time for the car, the expiration of a $7,500 tax credit and the lower priced $35,000 base Model 3 not being made available for purchase by Tesla yet. Gill stated that the preorder cancelation rate has doubled for Tesla since last year with one in four Model 3 orders now canceled. The current waiting time to receive a Model 3 is approximately four months to a year — customers purchasing the base model of the car may have to wait until 2020 to receive the vehicle. Tesla has denied that Model 3 cancelations outpace new orders and claimed that Gill’s wait times were outdated and customers could expect to wait 1 to 9 months to receive their Model 3. Gill, however, remains skeptical of the company noting that in order to reach their goal of shipping 100,000 cars this year, the company would have to improve production in their second quarter by 27 percent compared to the first quarter. Gill also stated that he is “skeptical of demand” for the car and stated that Tesla’s capital structure is “unsustainable” as the company struggles to maintain cash flow. Gill believes that Tesla will spend approximately $6 billion by 2020 and stated that believes Tesla stock is “overvalued” despite it falling by 16 percent from its highest valuation in June of 2017.